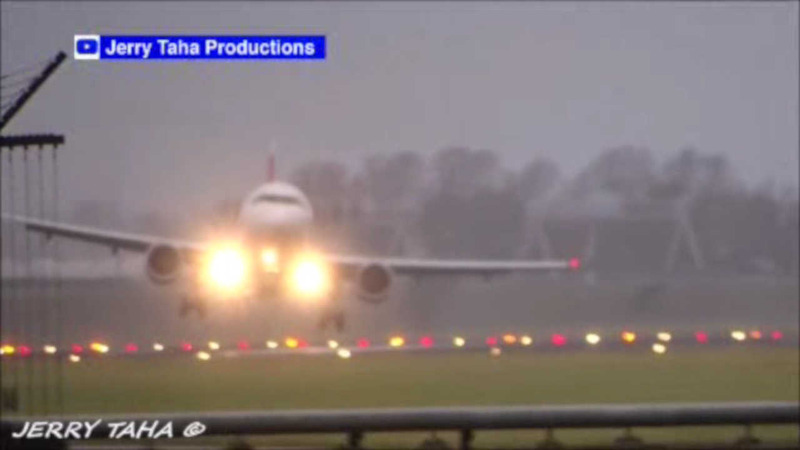 AMSTERDAM (WABC) -- Wet and windy conditions led to scary moments at Amsterdam's airport on Sunday. An Emirates A-380 jumbo jet wobbled as it came down. The pilot struggled to keep the huge plane in line with the runway, and the jet appeared to slide on the wet pavement. A Swiss Air flight had the same problems. The pilot decided to abort the landing, and come around for another try.